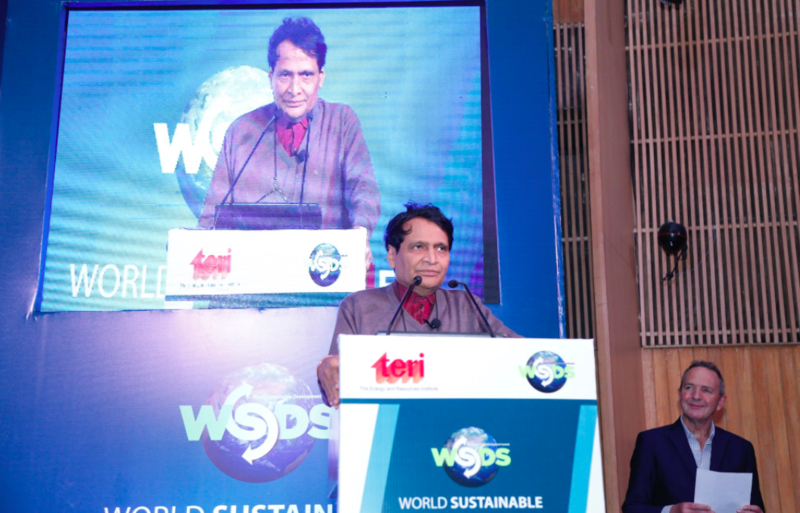 File photo of Suresh Prabhu, Union Minister for Commerce and Industry, Government of India. Union Commerce and Industry Minister Suresh Prabhu may release a new industrial policy this May. The policy, which will set a record for being the third major intervention after the industrial policies of 1956 and 1991, will reportedly seek to promote emerging sectors. According to a report, the draft for the proposed policy has already been released by the Commerce and Industry Ministry for consultation with various stakeholders. Industry insiders are saying that the new policy will completely revamp the Industrial Policy of 1991. Government sources told a news agency that the new policy would focus on Industrial Revolution 4.0 and would give a lot of importance to new technologies such as artificial intelligence, robotics, deep learning and internet of things. “The ministry is holding consultation with states also on the new policy to see their best practices. It will be released soon,” the source added. The Department of Industrial Policy and Promotion (DIPP) in August 2017 floated a draft industrial policy with an aim to create jobs for the next two decades, promote foreign technology, and transfer and attract $100 billion FDI annually. Strengthen ease of doing business and reduce compliance costs for the industry. Make provisions which will give weightage to the quality of foreign direct investment, with a preference to investments that will create local value additions, like, jobs. Make provisions for rationalisation of electricity cost for industries. Incentivise research and development with the objective of positioning India as a test bed for emerging technologies and creating an environment for ease of innovation. Help “medium”-sized enterprises in the SME sector. If the recently-released Union Budget is anything to go by, the above-mentioned changes, as well as the announcement of the new landmark industrial policy are not far off. Union Finance Minister Arun Jaitley had in his speech had particularly stressed on transforming India into digital economy, with the help of cutting-edge technologies in the digital space. “Technologies like ML, AI, IoT, 3D printing, and initiatives like Digital India, Startup India and Make in India would help in establishing itself as a digital economy”, Jaitley had said. Industry insiders are happy to see that the Modi-led NDA government is working towards supporting a tech-driven future. This year, Union Finance Minister Arun Jaitley has also doubled the allocation on Digital India programme to ₹3,073 crore in 2018-19. Keeping in mind the current government’s long-term plans, reports have suggested that the Modi-led BJP will strive to achieve its commitment towards Sustainable Development Goals (SDGs) with the help of AI by 2030, as it has the potential to churn out a slew of applications while keeping in mind the quality of approach. Will HarperDB Replace Hadoop In The Near Future?